Scott is proud to be represented and featured in some really wonderful places. 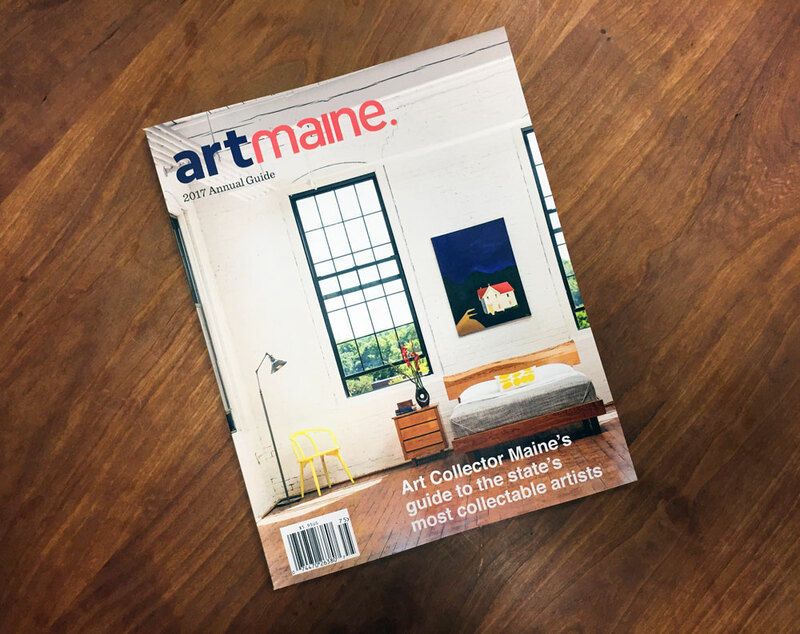 This annual art guide is curated by Art Collector Maine in conjunction with Maine Home+Design and Maine magazines. It is a gorgeous, progressive publication with a rich glimpse into the thriving art world that is alive and well in Maine. Chilton Furniture, a family-owned, Maine company dedicated to selling fine, American-made wood furniture, is currently featuring the work of Scott Bowe in both of their showrooms. Art Collector Maine is an online art gallery seeking to create synergy between artists and collectors. Additionally, ACM has two physical galleries—Portland Art Gallery in Portland, and Gallery at the Grand in Kennebunk. Selections of Scott's work can often be seen at Portland Art Gallery. Scott Bowe joined ACM in 2015.